Though the cruel bull-baiting practices for which the ancestors of bulldogs were used have long passed, the enthusiasm for the modern bulldog as a friendly companion animal is as fervent and robust as ever. Ranked the 4th most registered dog in the AKC, it’s no secret to most that the bulldog has established itself as one of America’s favorite canines. 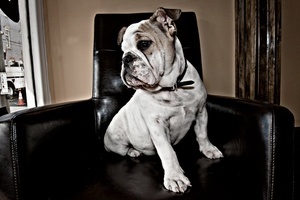 Through selective breeding practices, the previously fierce and aggressive bulldog of old has given way to a gentle, even tempered, yet strong willed breed with copious amounts of character; in both temperament and physical attributes. Unfortunately, like other purebred dogs, during the course of breed development, some inherited genetic diseases have come to light that can make life difficult for bulldogs and those that love them. Luckily, through the use of genetic testing technologies and selective breeding, some of these inherited diseases can be completely eliminated (or greatly reduced in frequency) from blood lines. One example of an inherited disease that can now be prevented in the bulldog is an inherited form of urinary stones known as hyperuricosuria (HUU), caused by a genetic mutation in the SLC2A9 gene. 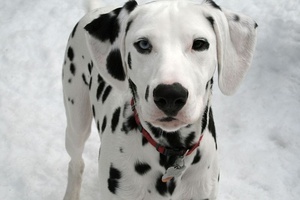 It is no secret among many Dalmatian owners and their breeders that their beautiful breed is prone to developing bladder stones (uroliths) made of urates as they have historically been the poster puppies for the inherited condition, known as hyperuricosuria. 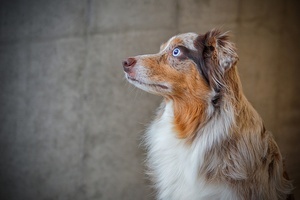 However, many don’t realize that the same genetic mutation responsible for these stones has been reported in over a dozen breeds of dog, although at a much lower frequency.